John Richard Behee (Ph.D. Ed., U-M, 1970) is an athletic historian who interviewed 28 African American U-M athletes between 1969 and 1974 as part of the research for his book, Hail to the Victors. 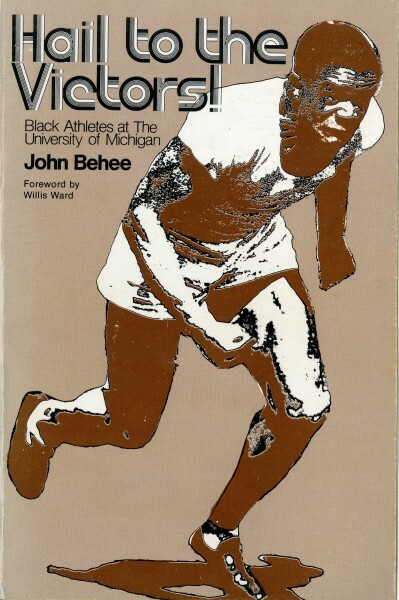 Published in 1974, Victors was a pioneering study of race and athletics in its day, and remains the starting point for research on the topic at U-M. The Bentley Historical Library has made these oral histories available digitally as part of its new Digital Media Library. Click the slideshow below for a sampling of the interviews. Following the slideshow is a full list of interviewees and links to their powerful and newly digitized audio histories. Interviews are listed chronologically by date of each athlete’s U-M career. 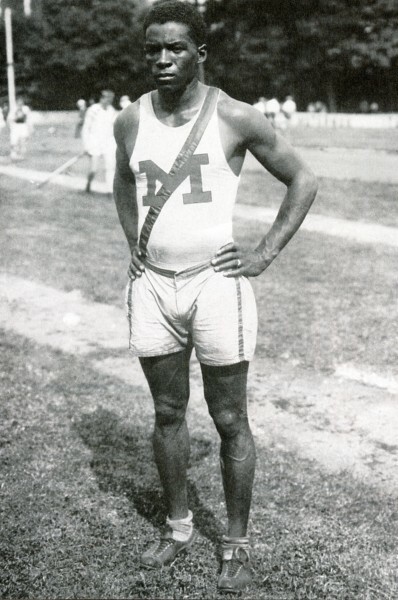 Interviewed in Cleveland, Ohio, by John Behee, William DeHart Hubbard discusses his high school experience in Cincinnati and how he came to U-M, his track accomplishments at U-M and at the 1924 Olympics, setting the world record in long jump, and discusses failure to be elected team captain in 1925, and black social life on campus. Interviewed at his Cleveland, Ohio home by John Behee, Henry Graham, Michigan’s first black varsity tennis player, discusses his decision to attend to U-M, making the varsity tennis squad, discrimination on team trips, housing discrimination in Ann Arbor, his educational experience, quota system in the Medical School, social life for black students, and reaction to the Black Action Movement (BAM). 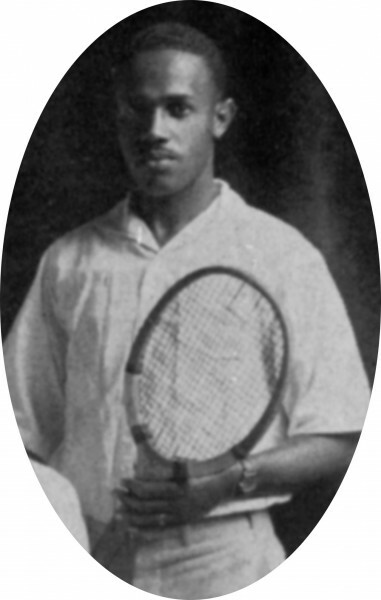 Interviewed in Pittsburgh, Pennsylvania, by John Behee, Daniel Kean discusses how he spent two years at Fisk University in Nashville before coming to U-M, was invited to try out for the varsity tennis team by coach John Johnstone after winning a campus tournament. 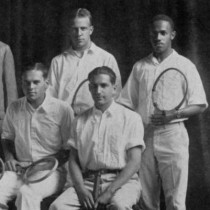 He discusses his motivations for coming to U-M, family background, the African American tennis circuit, other black Big Ten tennis players from the 1920s and 1930s. He also talks about intramural basketball and the conference ban on black varsity basketball and generally on the nature of prejudice, discusses his perspectives on BAM and militant protest, relations with his tennis teammates and the taboo against discussion of race. John Behee summarizes some of Kean’s comments that were lost due to a tape malfunction. Willis Ward discusses his experiences after the University of Michigan, as well as the circumstances of his recruitment, relationship with coach Harry Kipke and Fielding Yost, the notorious 1934 Georgia Tech game controversy, in which he was held out of the game at Tech’s insistence, competing against Jesse Owens and failure to make the 1936 Olympic team, in addition to his experiences in World War II and his career at the Ford Motor Company. Interviewed by John Behee in Detroit, Michigan, Julian Witherspoon discusses his motivations to go to the University of Michigan, his family’s encouragement, and his experiences at the University including dealing with discriminatory accommodations and a refusal to use a backdoor at a Chicago hotel, and conflicts with faculty members over his outspoken attitudes. 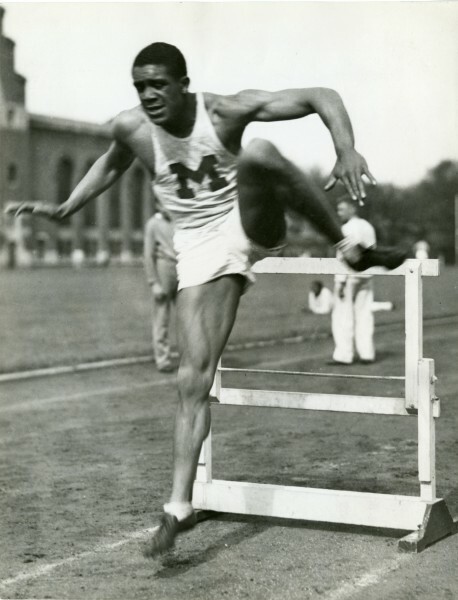 Interviewed in Detroit, Michigan by John Behee, Horace “Hap” Coleman came to U-M as a grad student with one year of eligibility after competing at Western Michigan University. He played football but quit the team when it became clear that Coach Fritz Crisler would not give him much playing time. He won a varsity letter in track. Coleman discusses his high school experience as a three-sport athlete at Hamtramck, playing at Western Michigan, talks about Len Ford’s first year at U-M, discusses his track experience at U-M and his work as an educator and counselor. 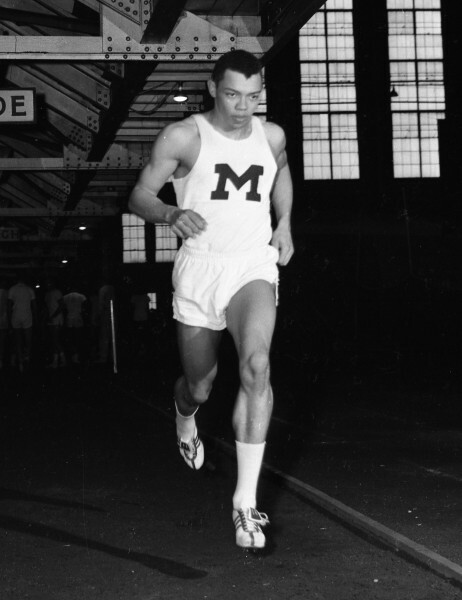 Interviewed by John Behee in Detroit, Michigan, Charles Fonville, a world-record holder in the shot put and top Olympic prospect in 1948 until sidelined by injury, discusses his motivations to attend college and experiences at the University of Michigan, including his relationship with coach Ken Doherty, problems with accommodations on the road and discrimination he faced at the 1948 Kansas Relays where he broke the word record. John Behee interviewed Joseph Hayden Jr. in Detroit, Michigan. Hayden discusses his decision to attend U-M, high school career at Alabama A&M Lab School in Normal, Alabama, time in the military, decision not to play football at U-M, relations with tack coaches Ken Doherty and Don Canham, election of track captains, social life and interracial dating, and prejudice against hiring black high school coaches in Detroit. Lowell Perry was an All-American football end at Michigan. With Behee, Lowell Perry discusses his high school career in Ypsilanti and decision to attend U-M, and black athletes at Michigan. Interviewed in Ann Arbor, Michigan by John Behee, Tom Johnson discusses his experiences attending the University of Michigan and his motivations and experiences at U-M, his relationship with coach Jack Blott, changes in recruiting of black athletes in the 1950s, and the influence of Martin Luther King Jr. 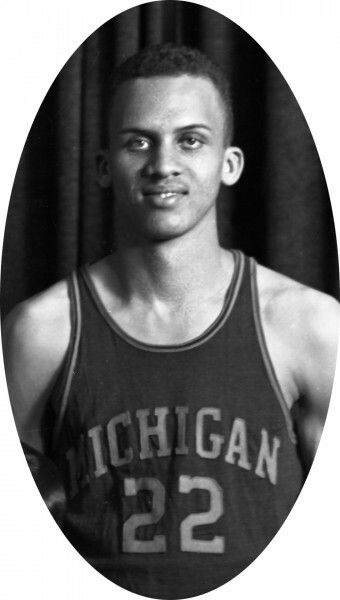 Interviewed by John Behee in Detroit, Michigan, Codwell discusses his decision to attend U-M and help break an informal “gentleman’s agreement” among Big Ten basketball coaches barring black players until 1948. He comments on his athletic and educational experience, relations with coaches Bill Perigo and Dave Strack, discusses his positive reaction to the BAM, and his admiration of Martin Luther King Jr.’s leadership. Interviewed in Detroit, Michigan by John Behee, G. Anderson White discusses his athletic and musical experiences in high school in Ferndale, Michigan and the racism he experienced during his collegiate athletic career. 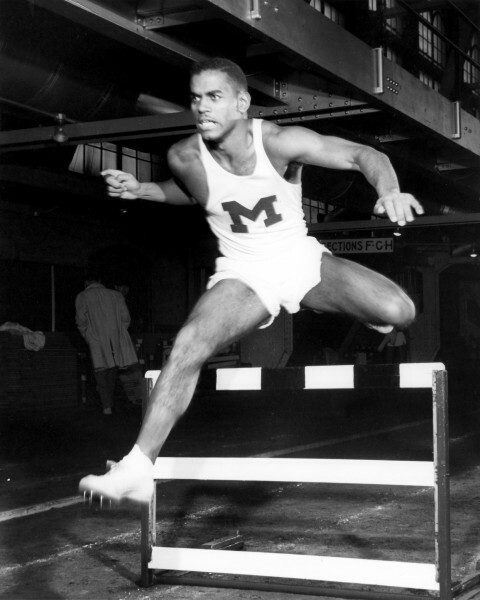 He talks about coaches Matt Mann and Bruce Harlan, the difficulty in finding a place to train in metro Detroit in the summer, and being the first black to perform in the Michigan Union Opera, as well as his post-Michigan diving career in the military and competing in the 1956 Olympic trials. He comments on the social life of black students, interracial dating, pairing of black students in the dorms, housing discrimination in Ann Arbor, and seeking a job after graduation. Interviewed in Detroit, Michigan by John Behee, Lovell Farris discusses growing up in Batesville, Mississippi, and moving to Cleveland, Ohio, his role as the first person in his family to attend college, decision to attend U-M, high school athletic career, relationship with coach Bill Perigo. He also discusses football players Willie Smith and Al Groce who were allegedly discriminated against because of interracial dating, housing discrimination in Ann Arbor, selection of M.C. Burton as the first black basketball captain, educational experience at U-M, and comments on lack of support services for minority students. John Behee interviewed Richard A. Cephas, who comments on his high school track experience, decision to come to Michigan, track accomplishments, coach Don Canham, experiences on team trip to Texas, social life and dating, his reaction to the BAM strike and the university’s response, and his educational experience at U-M. Interviewed in Detroit, Michigan by John Behee, Marshall Dickerson, a high school teammate of Richard Cephas, discusses his motivations to attend U-M, recruitment by Don Canham, social life and academic experience at U-M, and comments on the importance of black consciousness in Civil Rights Movement. Guy Curtis was interviewed in Detroit, Michigan by John Behee about his motivations to attend college and his experiences at Michigan. Curtis was Michigan’s first black wrestler and a Big Ten champion, as well as a football player at the U-M. Curtis describes his decision to come to Michigan, his high school experience in South Bend, Indiana, how he walked on to the football team and how Cliff Keen recruited him to the wrestling team, why there had been no black wrestlers at Michigan and few at other colleges, discrimination in housing in Ann Arbor, why he did not accept an athletic scholarship, and how athletics aided his career in grad school and medical school. He comments on the BAM strike, but criticizes setting of 10 percent enrollment goal for minorities as a quota system. Interviewed in Ann Arbor, Michigan by John Behee, Ken Burnley played varsity track in 1961-1964. He became the first black assistant coach at Michigan. He discusses his motivations and experience at Michigan, housing discrimination in Ann Arbor, his hiring as first black coach, and support for the BAM strike. Interviewed in Ann Arbor, Michigan, Mike Willie, a high school all-American halfback from New York City whose playing career was cut short by injuries, became an assistant trainer under Jim Hunt. He discusses his experiences at U-M, notably a 1965 trip to North Carolina where a KKK rally was held near the stadium the day before the game, and the challenges of living in Ann Arbor. 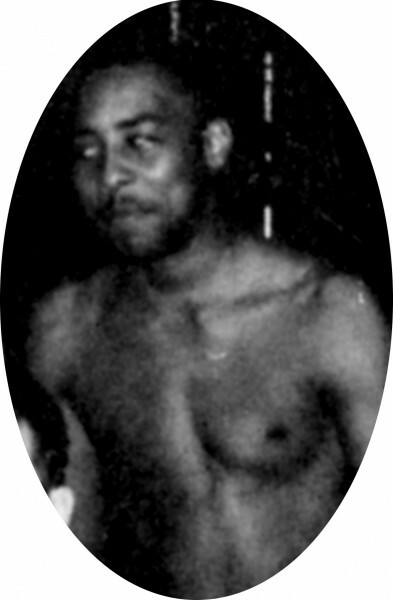 Keith Cooley was Michigan’s first African American gymnast. Cooley discusses his motivations to go to Michigan and his experiences there, his relationship with coach Newt Loken, an effort to become a football cheerleader, his experience in the engineering school, and reactions to the BAM and the university’s response. Interviewed in Ann Arbor, Michigan by John Behee, Ron Johnson discusses his early life and family life in Detroit, his motivations in coming to U-M, athletic experience, being elected first black football captain, fraternities and social life. Behee interviewed Tom Goss, football player who later became U-M Athletic Director; discusses Big 10 rule changes on course content and athletes’ progress toward a degree and African-Americans in sports in the Big 10. Phone interview with C.D. Henry about Affirmative Action in the Big 10. Interviewed in Ann Arbor, Michigan by John Behee, Ken Maxey was the 1969 basketball team captain. He discusses adjustment from an all-black high school to a mostly white university, relations with coaches and teammates, and academic experience. Morris Abrahams was interviewed by John Behee discussing his experiences playing football and baseball in high school (Ann Arbor Pioneer), racism he experienced both in sports and outside of sports. Morris Abraham is interviewed discussing his experiences in fraternities, other black athletes he knew, and his academic performance at U-M. Interviewed by John Behee in Detroit, Michigan, Rodney Ford discusses his family and experiences which motivated him to attend college, decision to attend U-M and study engineering, black fraternities/sororities and social life, hiring of assistant coach Richard Carter, and comments on BAM. Interviewed in Ann Arbor, Michigan by John Behee, Jesse Rawls discusses growing up in Guyton, Georgia, and moving to Harrisburg, Pennsylvania, at age seventeen. He talks of his high school athletic experiences and the motivation and circumstances that got him to Trinidad Junior College in Colorado and to Michigan, his relationship with coach Cliff Keen and wrestling experience at U-M, reasons for so few black wrestlers at collegiate levels, relations with his teammates, comments on bias keeping Jim Betts from playing quarterback, the role of back coaches, cites Nat Turner as a hero as well as Martin Luther King Jr. Interviewed by John Behee in Ann Arbor, Michigan, Godfrey Murray discusses academic and athletic background while a sophomore at U-M, relations with coach Ken Burnley, his academic program at U-M, and participation in BAM activities. Response to the Black Action Movement (BAM) and the larger civil rights movement. The sound level on some recordings is fairly low and you many need to raise the volume on your speaker.